Coupa On Demand combines best-in-class purchasing control and management into a product so simple that employees actually prefer using it for their business purchasing needs. Coupa purchasing software spans the entire procurement lifecycle, from employee requisitions for goods or services, through approval workflow, catalog and contract pricing, purchase order automation, receipt, inventory, and delivery. 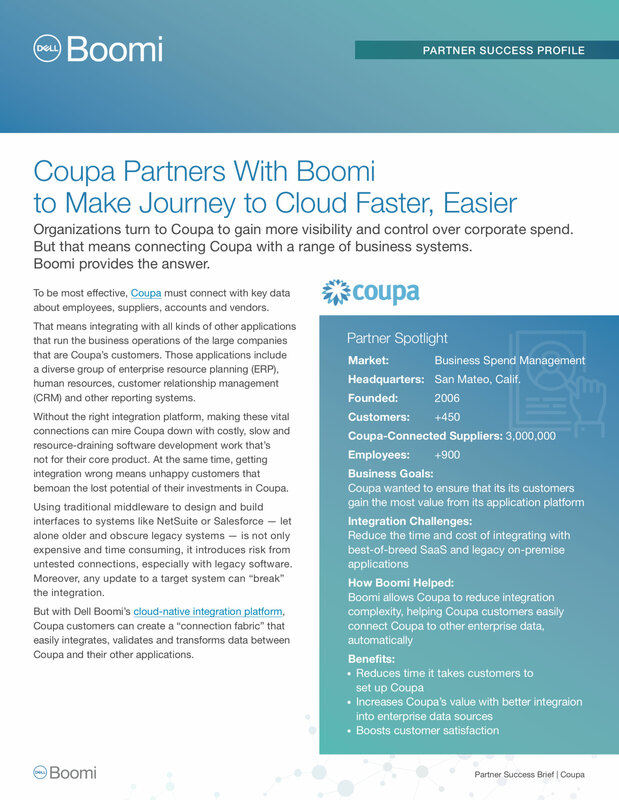 Through Dell Boomi’s Atomsphere, Coupa integrates to various financial applications throughout the global industry.